Australia is part of the Commonwealth of Nations (the symbol is on its flag). Its constitution came into force on 1st January, 1901. The Commonwealth includes former British colonies or protectorates. The members are symbolically led by Elizabeth II. Australia is a parliamentary democracy based on the Westminster system. The Australians elect their state and territory legislatures and the Federal Parliament. - The House of Representatives: 150 members elected for 3 years by direct universal suffrage. - The Senate: 76 members elected for 6 years by universal suffrage. 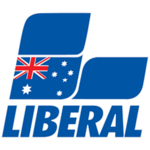 The Liberal Party of Australia: it is a center-right Party which mainly represents the business community, the middle class and some of the agricultural community. The National Party of Australia: it is a conservative Party which mainly represents rural interests. The Australian Labor Party: it is a social democratic Party which represents the urban working class, despite having more and more support from the middle class. Tony Abbott was the Australian Prime Minister from September 2013 to September 2015. He came from the Liberal Party. But he failed to keep his campaign promises: the unemployment and the deficit increased, while the growth rate and the value of the Australian dollar fell. On 14th September, 2015, Malcolm Turnbull, a former Minister of Communications and a member of the Liberal Party as well, filed a motion against Tony Abbott. He accused him of being unable to cope with the economic difficulties. In the evening, Tony Abbott convened the Parliamentary Liberal Party for a vote, which was fatal: Tony Abbott collected 44 votes, while Malcolm Turnbull collected 54. 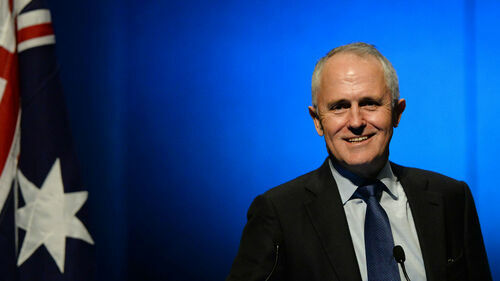 Thus, since 14th September, 2015, Malcolm Turnbull, a millionaire and the former CEO of Goldman Sachs Australia, is the 29th Australian Prime Minister. His political program is not known, but he differs from Tony Abbott by supporting gay marriage (which is banned in Australia) and the fight against climate change (Australia is one of the most polluting countries in the world per capita). Australia has some tensions with Indonesia: the Australian secret services are accused of having wiretapped the Indonesian President in 2009 and of being linked to the USA in order to spy on Indonesia. Therefore, their diplomatic relations are affected. During his mandate, Tony Abbott used to send illegal migrants boats back to Indonesia. There is no particular internal conflict in Australia. The last highlight happened on 12th September, 2012, when activists and police went through violent clashes during a protest against an anti-Islam film in Sydney. However, there is a certain ethnic pressure against Australia’s Aboriginal people: they are marginalised and often have poor living conditions. I hope you’ve learned something through this article. See you in an upcoming one.